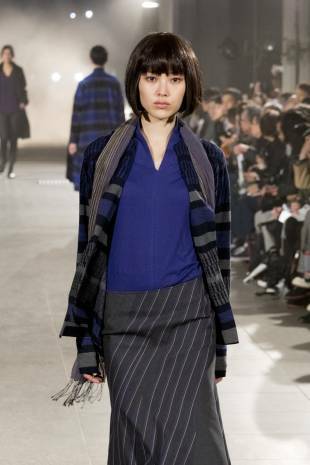 Design duo Hiroyuki Horihata and Makiko Sekiguchi have been making the case for the inclusion of Japanese aesthetics in contemporary fashion for more than a decade. 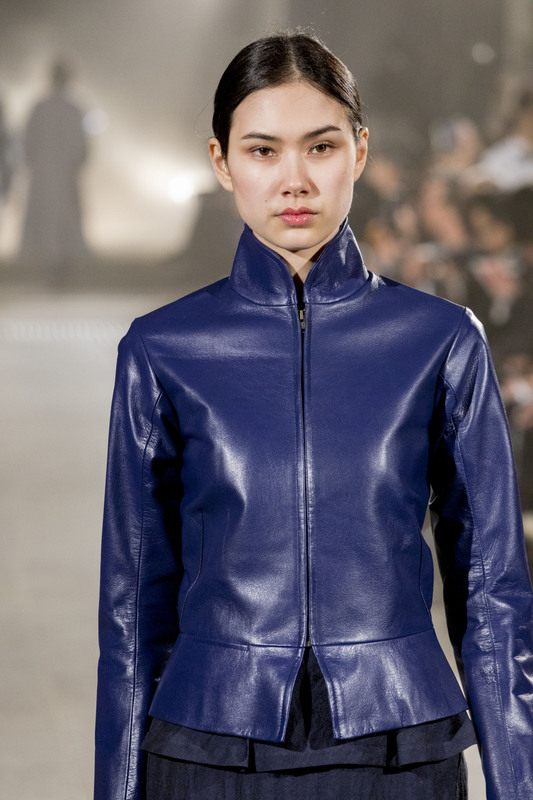 Since founding fashion brand Matohu, the pair have championed Japanese tradition on the runway, which isn’t easy in an industry where such tastes are frequently reduced to a singular jumbled pastiche of eras and genres. The average Matohu fashion show offers audiences a crash course in Japanese fashion and the arts. Matohu’s first series of collections from 2005 drew their inspiration from the Keicho Era (1596-1615), dedicating the label’s debut to samurai and tea ceremony master Furuta Oribe (1544-1615) and methodically exploring the textiles and arts of the period over the next five years. Since 2010, Matohu has widened its scope to include Japanese aesthetics as a whole in each collection. This approach has proved to be a revelation in its own right, singlehandedly cataloguing ideals of beauty such as utsukushi (adorable) to honoka (the feeling of a faint but tangible presence). “We have to make these explanations about the themes for Japanese people as much as anyone,” says Horihata, referencing the extensive guide to this collection’s theme. Now in its 15th volume, “The Japanese Eye” collection guide is a personal and profound snapshot of Japanese aesthetics. “When all’s said and done, this will represent our lives’ work,” Horihata says. Matohu’s theme this season is iki, which is often loosely translated as “chic.” But just as when translating kawaii to “cute,” so much is lost in translation. Make no mistake, however, this is no meshing together of the old and the new. Instead, Matohu’s designs reflect a realization that, in Japan at least, these worlds are not separate as such but run together. This manifesto of locating the traditional in modern life is no stranger to other arts in Japan. Indeed, the brand has recently launched Matohu Project, which travels Japan looking for opportunities to revitalize traditional art forms either through collaboration or by the creation of a new form. “Remember that what we are seeing in Japan is happening all over the world,” Horihata says. 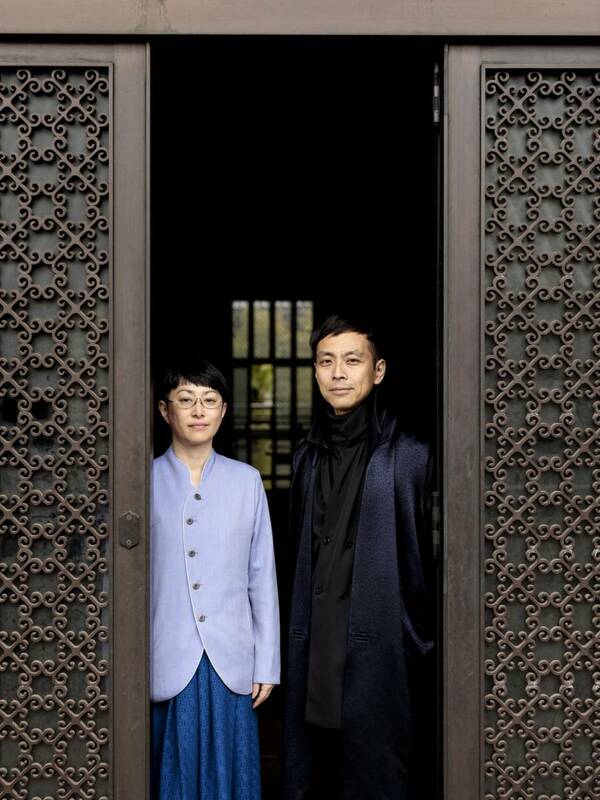 Sekiguchi says that clothing is the most fundamental way of ensuring that traditional Japanese aesthetics live on. 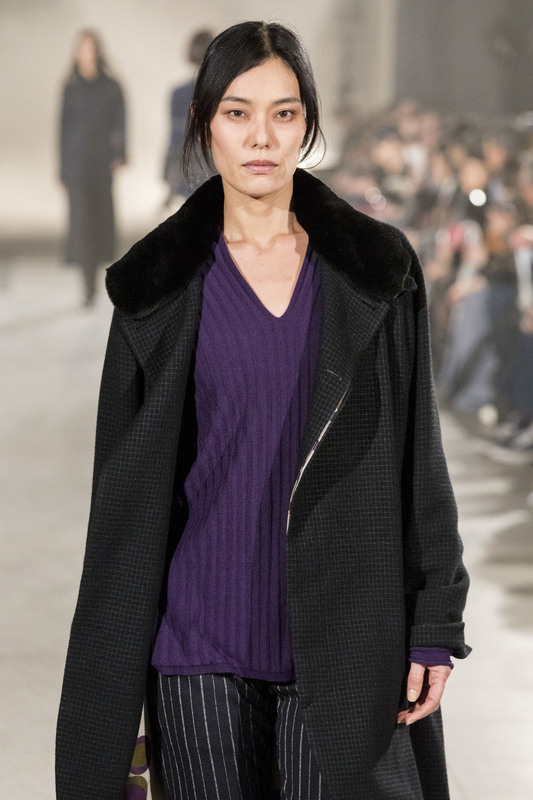 “We have to make clothes that people can wear in their daily lives and, in doing so, find a way to introduce these lost aesthetics to people in a very intimate way,” Sekiguchi says. The most obvious question at this point is why not make kimono or other traditional Japanese garments? This need to come up with a way of avoiding the traditional forms of Japan and the West is what gives Matohu the distinctive cultural hybrid style it produces today. 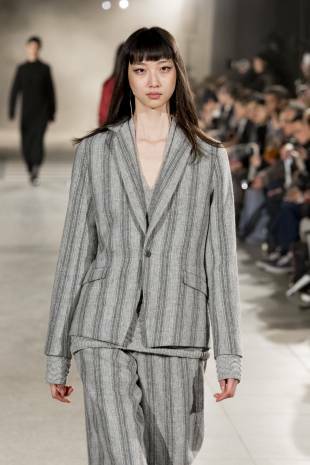 The clothes are typically elegant — at times wrapping the body rather than tailoring to it in a nod to the kimono — but aren’t afraid of introducing a peplum or other elements foreign to Japanese designs. The final piece of the puzzle is the textile Matohu uses in its design. Here, too, Matohu looks to historical precedent, with Horihata noting that the material utilized in the kimono and obi belt was often the primary source of trends in pre-Meiji Japan. 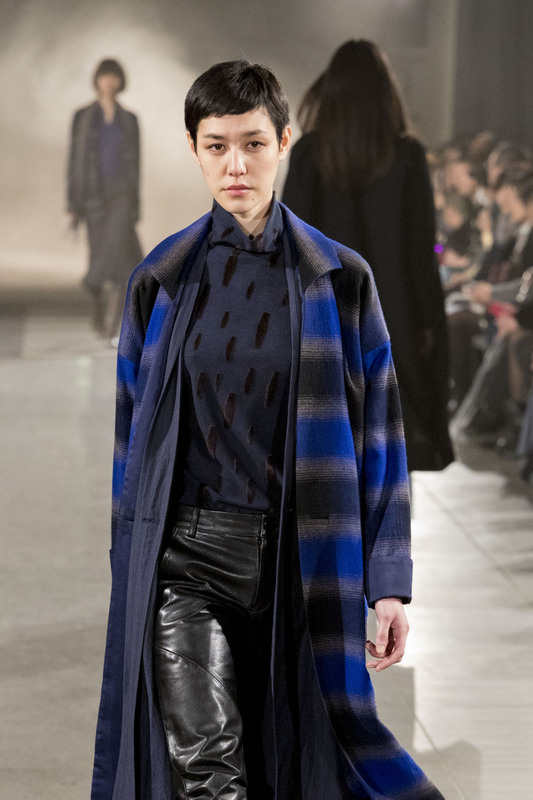 What’s more, premium kogei artisanal textiles were considered the haute couture of their day. And it’s at this very intersection of form, textiles and Japanese aesthetics that we find present-day Matohu.